For many of my friends, the search for the perfect partner centers around the idea of finding someone who isn’t “crazy.” What I always advise them to remember, of course, is that everyone is crazy, in their own ways. The key to a successful relationship isn’t searching for someone “normal,” but finding someone whose particular brand of crazy complements your own craziness. Coincidentally, my sagest bit of relationship advice parallels one of my most well-worn pieces of credit card wisdom. Every credit card has its ups — and its downs. Instead of focusing on finding the “perfect” credit card (which doesn’t exist), you should look for a card that’s perfect for you. In terms of finding the best card for everyday use, this means choosing a card that rewards you for the purchases you make most frequently, while also providing those rewards in a form you’ll be most likely to use. If there’s any type of reward sure to appeal to just about anyone, it’s probably cash back rewards. Cash back programs offer simple, straightforward rewards that you can typically redeem for statement credits, gift cards, or physical checks. Since these cards are effectively the same as getting a rebate on everything you purchase, they are a great choice for everyday cards. 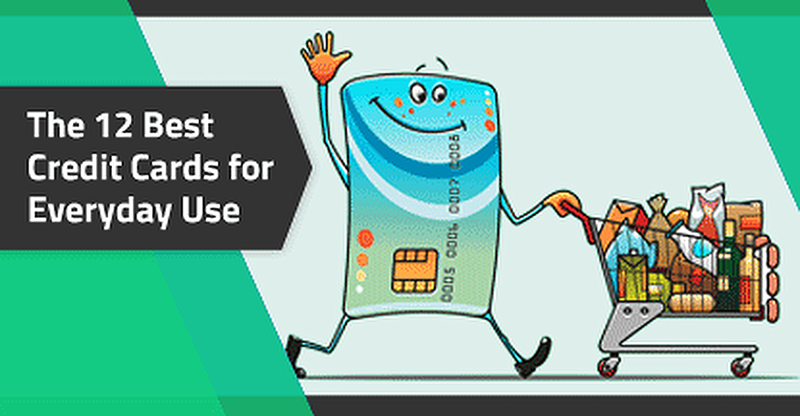 To really make the most of your everyday card, you should select one with a rewards program that works best for your particular shopping habits. If you tend to do a lot of spending in certain popular categories, like gas or groceries, then you may fare best with a bonus category card. If your spending is more general, however, a flat-rate unlimited rewards card might be more lucrative overall. 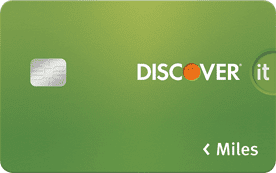 Explore our favorite cash back cards to explore both options. If you choose to go with a card that offers bonus cash back in specific categories, be sure you understand the specifics of the program. Many bonus categories will have purchase maximums (e.g., only your first $1,500 in category purchases per quarter qualify for 5% cash back with the Chase Freedom® card). 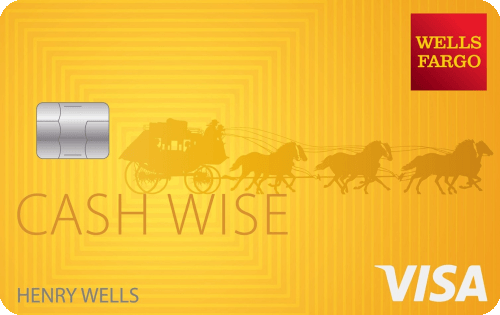 After you hit the cap, you’ll typically earn unlimited 1% cash back on category purchases. Some other things to look for when comparing cash back cards include the annual fee — the smaller the better, and zero is the best — any applicable expiration dates for your rewards, and if the card has cash back redemption minimums. 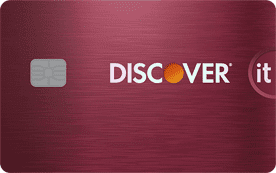 Redemption methods may also vary by card; for example, Discover cardholders can redeem their cash back rewards directly toward an Amazon purchase during the Amazon checkout process. For many of us, the everyday grind is all about getting to those few weeks of vacation that (hopefully) make it all worthwhile. You can get yourself a little closer — financially, that is — to that dream vacation every day with the right travel rewards credit card. With every dinner purchase, car fill-up, and utility payment, you could be earning miles or points that will get you out of the everyday and into the extraordinary. As you compare travel rewards cards, you’ll need to make several choices, the first of which is whether you want a bank-branded or co-branded card. Cards that are co-branded with specific airlines or hotels, such as the Gold Delta SkyMiles® card from Amex, will limit your travel to that brand (and its partners). 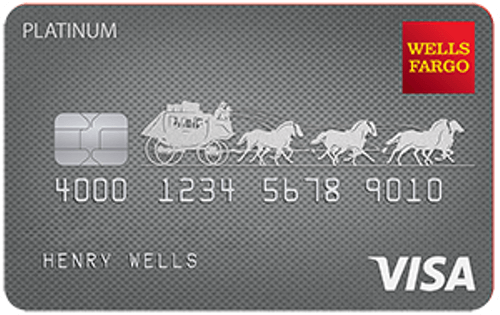 Bank-branded cards, like those on our list below, are more flexible, as they don’t limit you to specific brands or travel times. Although most travel rewards cards offer pretty decent earning rates, the easiest way to start traveling sooner is to choose an everyday card with a great signup bonus. These one-time bonuses, typically consisting of tens of thousands of points or miles, can often be enough for a free flight or hotel stay in and of themselves. The majority of credit card signup bonuses will require you to meet a specific spending requirement within a set period of time. If you typically don’t travel enough to make a travel credit card worth having, but you’d still like the option to redeem your rewards for travel — or gift cards, merchandise, or once-in-a-lifetime experiences — then a points card may be for you. Points cards offer the most versatile rewards experience, providing a wide variety of redemption options, even cash back in most cases, making them a flexible everyday credit card option. As with other rewards credit cards, the majority of points programs tend to be structured in one of two ways: unlimited flat-rate rewards, or bonus-category rewards. Selecting between the two types will come down to where you tend to make the most purchases, with common categories including everyday necessities, like gas and dining. Our expert-rated points cards include a variety of program types to start your search. Potential cardholders who may wish to use their points for travel redemption should investigate potential travel partners before choosing a card. Many points programs, such as Chase’s Ultimate Rewards, will allow you to transfer and convert your points into loyalty rewards with popular travel brands. This will often give you a better per-point value than simply redeeming the points for a travel credit or cash back would provide. While credit card rewards, like cash back and points, can be, well, rewarding, they’re not the only way to get a little extra value out of your everyday card. A credit card with a robust 0% APR intro offer could be significantly more valuable to those who tend to carry a balance on their card month to month, providing 12 months or more of interest-free purchasing. For the best of both worlds, look for a credit card offering both a solid intro APR offer and purchase rewards. 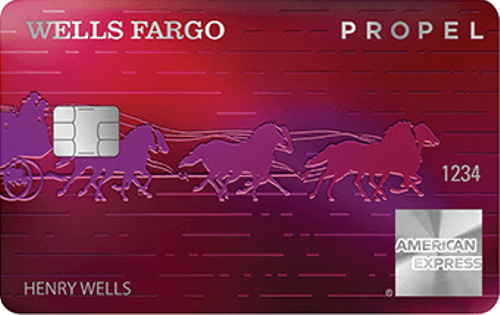 Additionally, you can get even more value from your card by looking for one without an annual fee, starting with many of the options on our list of top-rated picks. It’s vital to understand one thing about your intro APR offer, however: no interest doesn’t mean no payments. Regardless of your interest rate, you’ll need to make at least your minimum required credit card payment by (but preferably before) your due date each month to avoid the fees and credit damage associated with late and missed payments. You’ll also want to repay as much of your balance as you can before the intro period expires, as your APR will revert to its default value at the end of your intro term. Since the default purchase rate will likely be in the double-digits, the fees can add up quickly. Despite our species’ tendency to look forward to life’s biggest moments, truly making the most of life often means finding ways to enjoy the everyday experiences. And a big part of that is finding the right person to share them with. In the end, there is no perfect person — just the person perfect for you. Similarly, making the most of your financial life will usually involve making smart financial decisions each and every day, which starts with selecting the right credit card for those everyday purchases. But just as there is no one-person-fits-all partner, the right credit card for you will depend on your individual habits and preferences.